The Royal College of Physicians (RCP) museum is establishing a new team of volunteers to help support our work during the RCP's 500th anniversary year. As a volunteer you will contribute to the museum's exciting 2018 programme, which includes talks, exhibition launches, late museum openings and special events. The programme is designed for the museum’s diverse audience, covering history, art, architecture and the RCP medicinal garden. 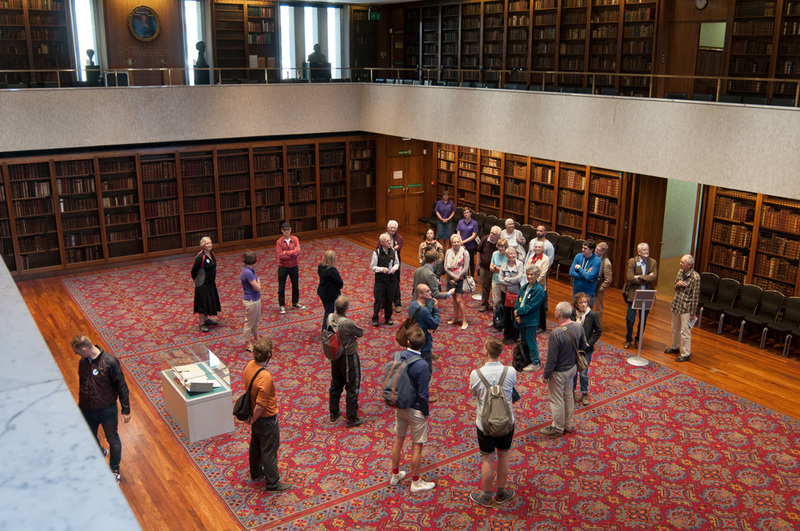 The RCP also takes part in annual city-wide events including Open House London, Open Garden Squares and Open City. We are looking for friendly and enthusiastic people to help deliver our public events programme. A passion for history, museums or medicine would be an advantage; previous experience of volunteering in a front of house or visitor experience capacity would be beneficial but is not essential. Knowledge of medicine or the RCP is not required. Training will be offered to all new volunteers, to familiarise them with the RCP building and museum collections. The role includes volunteering at evening and occasional weekend events, all at the RCP building in Regent’s Park. Travel expenses within London will be reimbursed (a maximum limit will apply). Successful applicants are expected to volunteer at one event per month, for a minimum of 3 months. Tel: +44 (0)20 3075 1510. The deadline for applications is Monday 29 January 2018, 10am. Please note: there is no guarantee of paid employment at the RCP museum following this role.